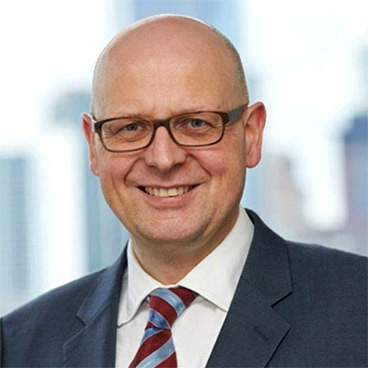 Stefan Hofrichter is Head of Global Economics & Strategy at Allianz Global Investors. His research covers global economics as well as global and European asset allocation. Stefan joined the firm in 1996 as an equity portfolio manager and assumed his current role as an economist and strategist in 1998. Between 2004 and 2010, he also had responsibility for various retail and institutional mandates, including global and European traditional balanced funds, global multi-asset absolute return and multi-manager alpha-porting funds. Stefan became a member of the firm’s Global Policy Council in 2004. Stefan holds a degree in Economics from the University of Konstanz (1995) and in Business Administration from the University of Applied Sciences of the Deutsche Bundesbank, Hachenburg (1991). Stefan became a CFA Charterholder in 2000. A relatively new metric called the financial cycle can help tell investors more about an economy’s medium-term strength than the business cycle. The financial cycle can illuminate risks worth taking or avoiding, helping investors be more selective and active at a time when passively accepting risk may be detrimental. While Europe faces its own share of political uncertainty, many of its headwinds are similar to those faced by capital markets around the world – not specific to Europe. In fact, with trade wars hurting the US and China, and with the Fed in danger of overreaching, European equities may be in a strong relative position.